Japan doesn’t lack theme parks. Serious Disney fans make the pilgrimage to Tokyo Disneyland and Tokyo DisneySea. In Osaka, Universal Studios Japan draws countless crowds of domestic and international visitors. Japan’s unique theme parks are less well known. The weirder theme parks – like the New Zealand farm themed attraction — didn’t survive the bursting of the bubble economy. The survivors are worth checking out. They feature world-record-breaking roller coasters, spooky haunted houses, and transplanted European cities. Let’s start with arguably the best theme park in Japan. 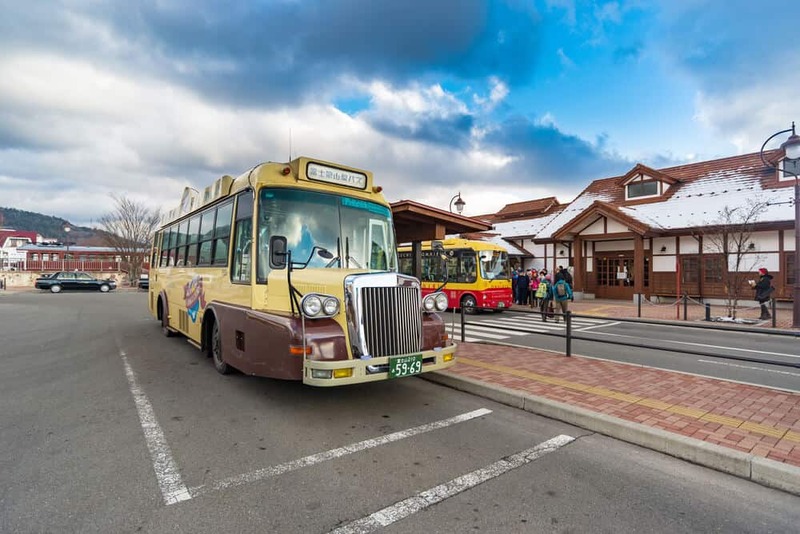 If you only have time for one theme park in Japan, go to Fuji-Q Highland. Fuji-Q has something for everyone. Fuji Q boasts Japan’s largest haunted house and lots of kid-friendly attractions. 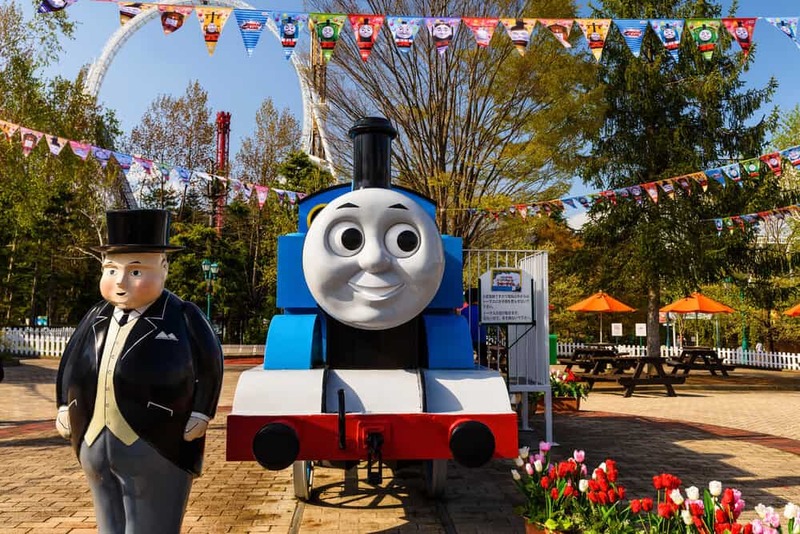 The kid’s attractions include a Thomas the Tank Engine themed sub-park. Among Fuji-Q’s many rides are several record-holding roller coasters. Fuji-Q has seven operational coasters, three of which hold world records. Compressed air launches the cars around the track; hold on to your hat, or better yet take it off before you ride! It’s not Dododonpa’s height (49 meters) that thrills. It’s the speed. Dodonpa is one of only six coasters in the world to break the 100mph barrier. Takabisha holds the record for the steepest roller coaster. The track is over 1,000 meters long. You’ll get a thrill from the drop into darkness, the variety of twists, and the 121-degree descent for which the ride is famous. Eejanaika bills itself as a 4D roller coaster, one of only two 4D coasters in existence. The seats rotate at a 360-degree angle. They invert fourteen times during the ride — making it the ride with the most inversions in the world. Roller coaster snobs may object, as only three of Eejanaika’s inversions come from the track. You won’t be quibbling when Eejanaika spins you around. Fujiyama set four world records when it opened in 1996. Those records have since been broken, but Japan’s “King of Coasters” still impresses. It features two thousand meters 2,000 of track, a speed of 81mph, and a height of 79 meters. If you go to Fuji-Q for the coasters, plan ahead. At peak times, the lines are over two hours long. Come early and pay attention to the weather, as most coasters don’t operate in the rain. Cheer up! Fuji Q’s haunted house is a reason to visit the park all on its own. The Super Scary Labyrinth of Fear is one of the biggest haunted houses in the world. It takes about fifty minutes to make your way through the dimly lit house of horror! Fuji-Q sits close to Aokigahara forest, a place whose spooky credentials are not in doubt. The forest is a popular place to commit suicide. You won’t want to dwell on that as the doors open and you step into the dark. The introductory video is in Japanese and, if you’re like me, you may prefer not to know what’s to come. Either way, there are plenty of surprises in store. If you can’t get enough ghost action, Fuji-Q has a smaller Haunted House for kids. The kid’s house centers around the characters of the manga Ge Ge Ge no Kitaro. Another star attraction is the Ultimate Fort maze. The maze boasts a successful escape rate of one in a hundred thousand. Visitors must grapple with clues, hidden doorways, traps, and the maze itself. The park is usually open from 9:00am – 5:00pm, but could be open earlier or close later depending on the season. There are also special days where they are closed. Please check their website for more information. Fuji-Q is accessible from Tokyo by bus or train. Check Fuji-Q’s access webpage for directions from many of Tokyo’s popular areas. You can buy an entrance ticket and a ticket for each ride, or a full day pass that includes all rides. Nagashima Spa Land is part of the Nagashima Resort. 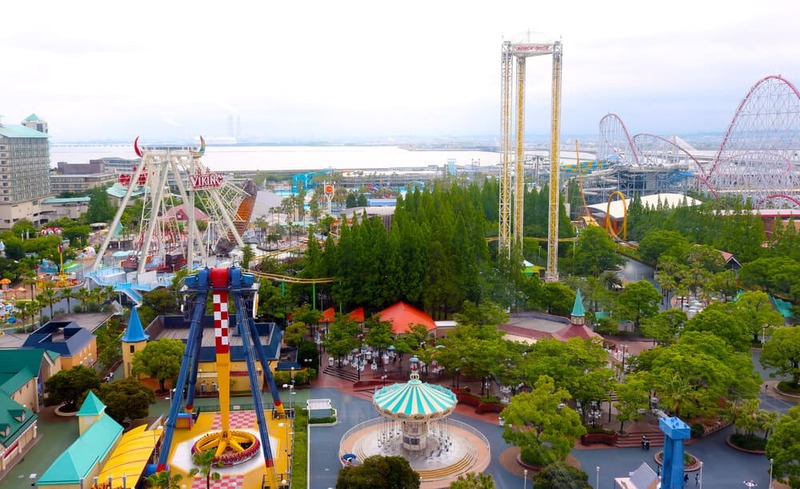 Nagashima offers six attractions in one setting on the outskirts of Nagoya. The resort hosts the Joyful Waterpark. The park i only open in summer and features water slides and a wave pool. For water of a different kind, check out Yuami no Shima, an onsen complex with indoor and outdoor baths. It sits amongst gorgeous man-made scenery recreating mountain gorges and rugged streams. Your kids will love the Anpanman museum. The museum is dedicated to one of Japan’s stranger animated superheroes. For shoppers, the huge Mitsui Outlet Park Jazz Dream has 240 stores. The shops sell everything from big brands to sporting goods. Nabana no Sato is a 15-minute bus ride away. 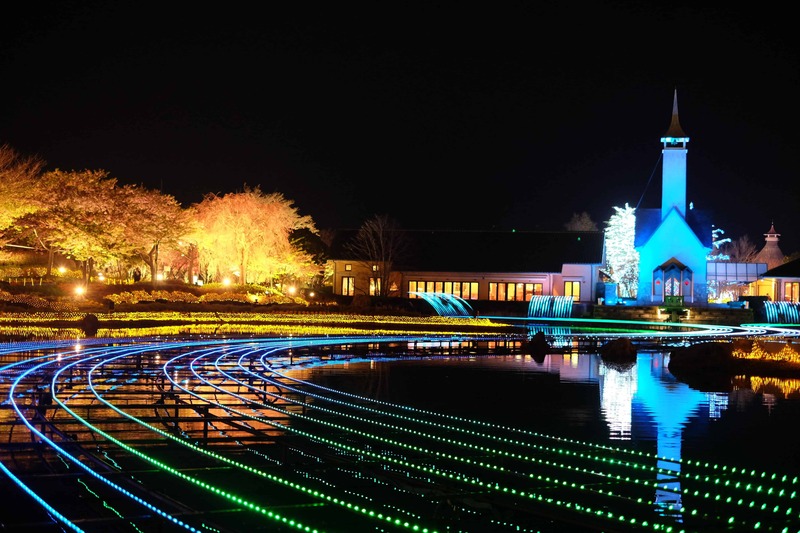 The flower park hosts festivals in warmer months and illuminations in the cold. The most famous of the parks in the resort is the oddly named Nagashima Spa Land. In spite of the name, the main attractions are the three famous roller coasters. 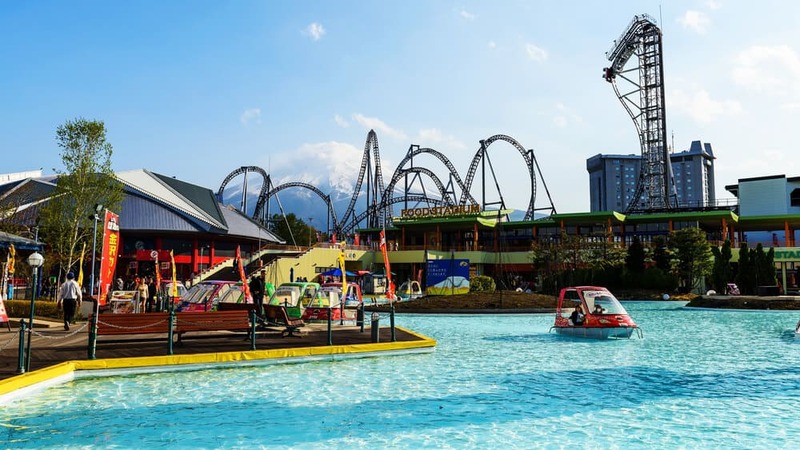 To be fair, there are water rides at Nagashima Spa Land… but it isn’t the whitewater chute that draws the crowds. That honor goes to the park’s top three coasters, two of which rank among the world’s fastest. The Steel Dragon holds the record for longest track length at 2,479 meters. You won’t notice the track length, however, as the ride reaches speeds of 95mph. It’s the second fastest coaster in Japan and sixth fastest in the world. 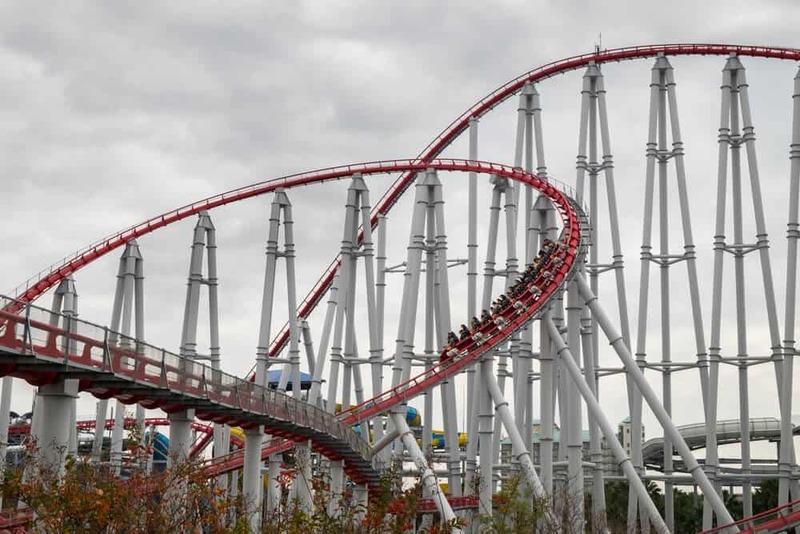 It was the world’s tallest complete circuit coaster when it opened in 2000 — the year of the dragon. White Cyclone is the longest wooden roller coaster outside the United States. I usually dislike wooden coasters because of how much they rattle you around. White Cyclone won me over with the smoothness of the ride. 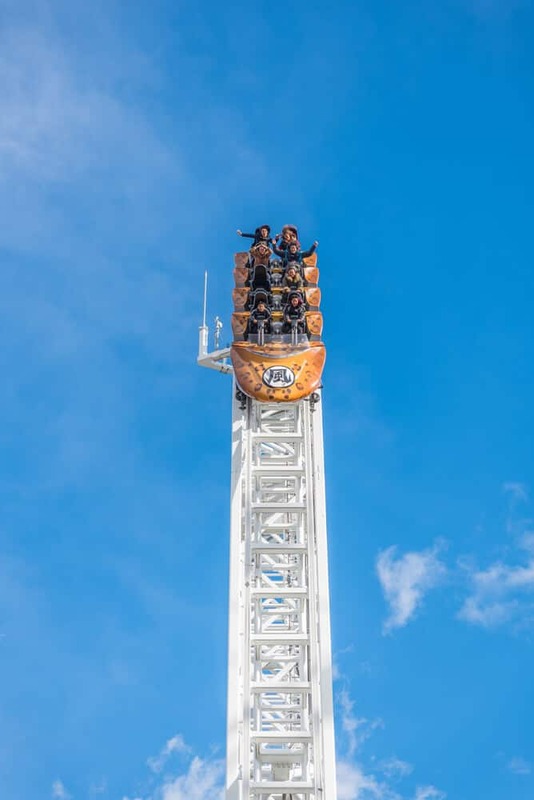 Considering the ride includes a 39-meter drop, that’s no ordinary feat! 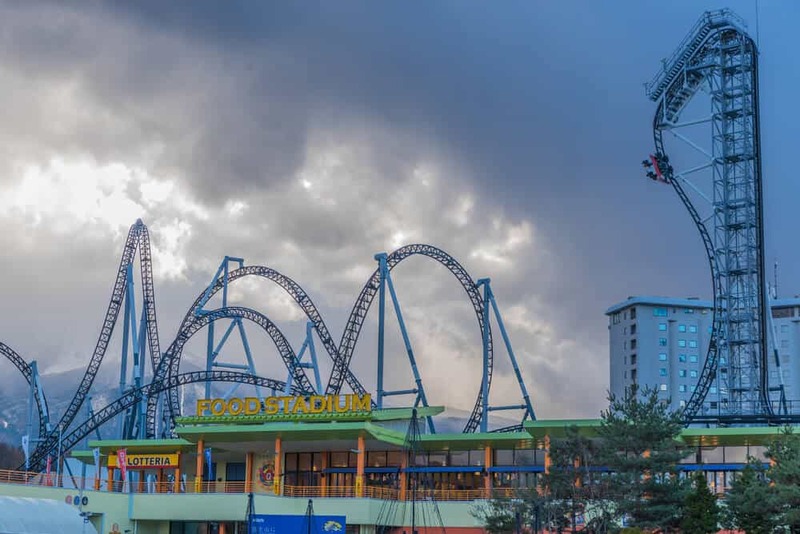 As you’d expect from its name, Acrobat, the final of Nagashima Spa Land’s star coasters, is full of twists. It’s hard to tell which is more shocking — the many loops or the splash of water! Including the coasters, Nagashima Spa Land has about forty rides. They range from kid-friendly all the way up to The Steel Dragon. While there are fewer rides here than at Fuji-Q, there is an old-school haunted house worth checking out. Again the information is in Japanese. Even though everything is said in Japanese, I still enjoyed the attraction even though I didn’t know what they were saying most of the time. Pokemon enthusiasts should check out the new Pokemon Adventure Camp. The Camp features a Pokemon goods store. Nagashima Spaland is more compact than Fuji-Q. We were able to see all the attractions we wanted despite visiting in August, the peak tourist season. We visited on a weekday and were able to avoid huge crowds. At one point, we had only a ten-minute wait for White Cyclone. 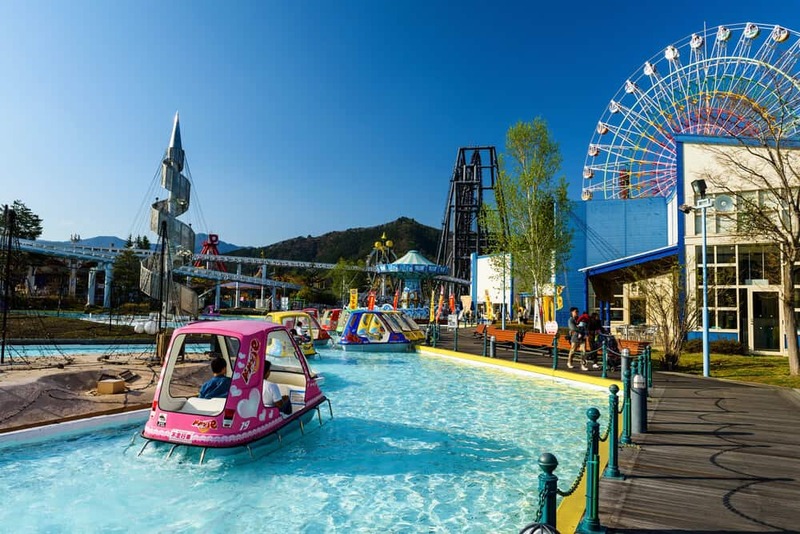 Nagashima Spaland’s website offers pdf guides in English. They have a map of the park and information about the rides. Hours vary by season and day of the week, but are generally open from 9:30am to 5:00pm. Check their time schedule (Japanese only) before you go. 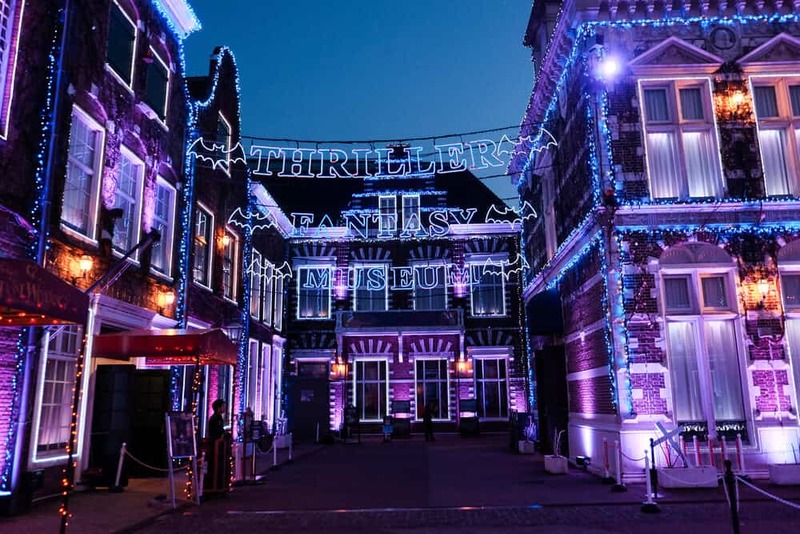 Huis Ten Bosch is a completely different type of theme park. 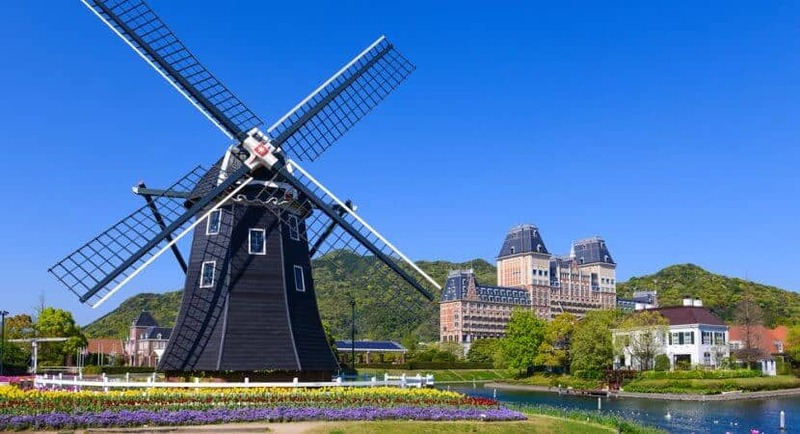 Known as “Small Europe,” Huis Ten Bosch contains canals, windmills, buildings, and gardens. The park is a luxurious recreation of Medieval Holland. Located in Nagasaki, the theme park is not as out of place as you might think. Nagasaki was a major center of Dutch activity and trading from 1641. 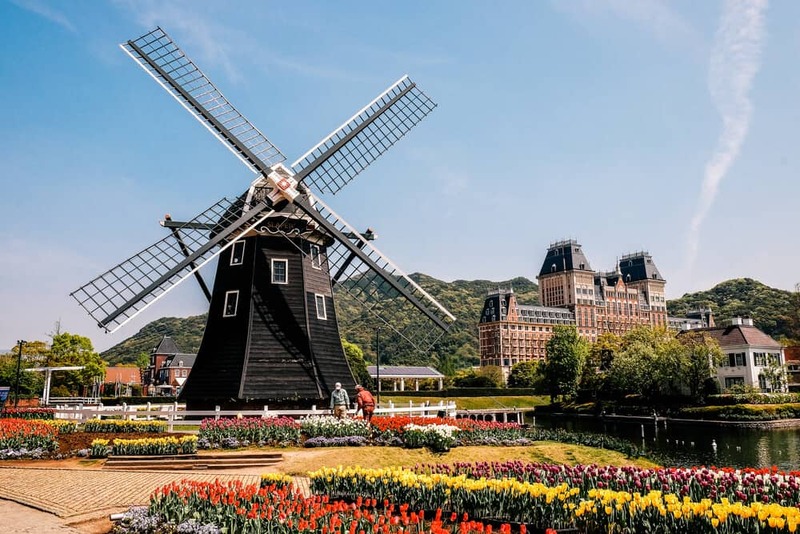 Huis Ten Bosch celebrates the connection with an immersive, yet still Japanese experience. After all, how many Dutch towns contain a hotel staffed entirely by robots? The main attraction is the beauty of the park itself. Many of the European style buildings are hotels or Western-style restaurants. They look so authentic you might think you’re really in Europe! The park is an atmospheric setting for classical music concerts and other events. Seasonal flower shows, such as the tulip festival in spring, draw crowds to admire the scenery. 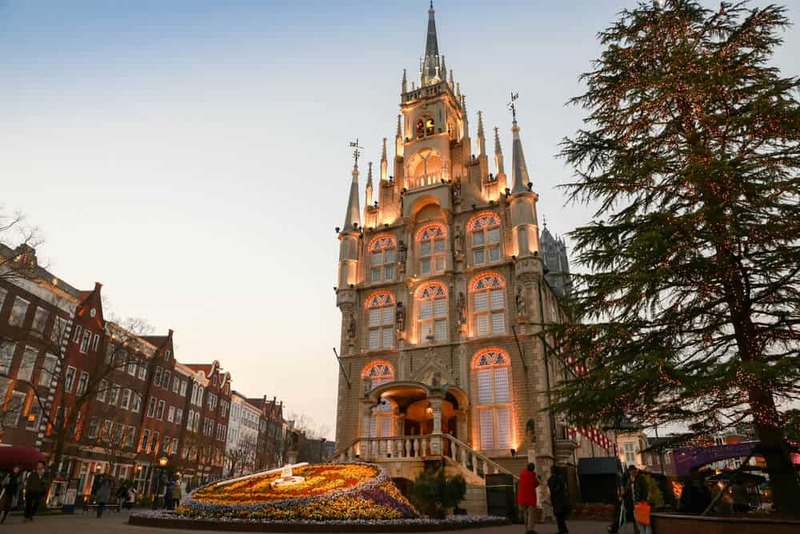 Huis Ten Bosch offers nine sections depending on what kind of attraction you’re in the mood for. 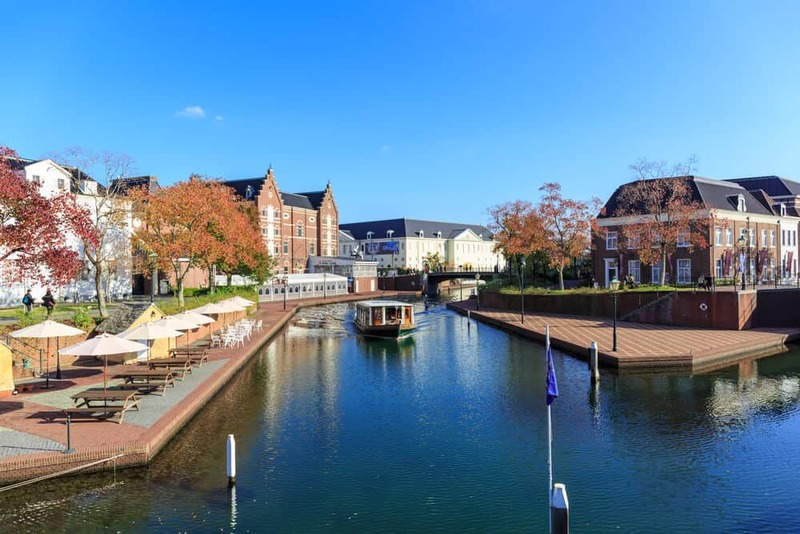 Harbor town is home to a replica of the park’s namesake — the royal palace Huis Ten Bosch of the Netherlands. It also has De Liefde, a restored 17th-century sailing ship. You can board the ship and dress up in sailor garb to appreciate life on the sea. Adventure Park features active attractions suitable for families. Sky Castle is a fun obstacle course. You’ll enjoy rock-climbing, tightrope walking, and other challenges. It’s for school-age kids and up. 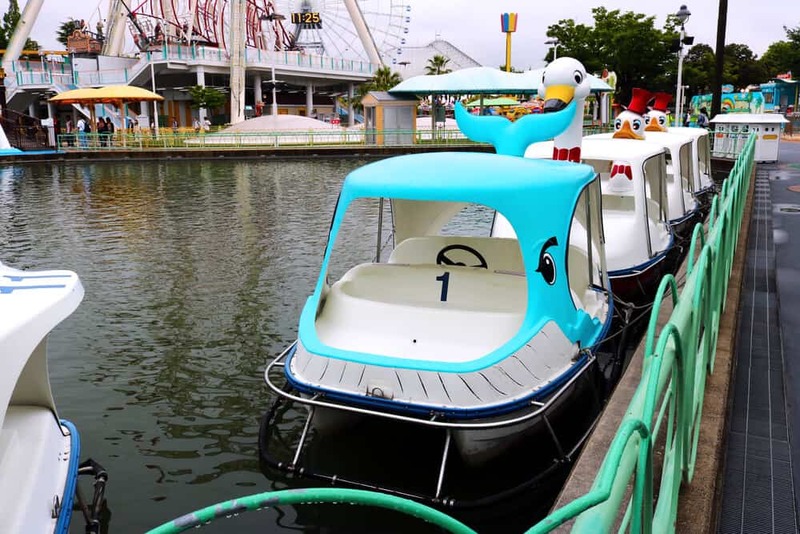 The Shooting Star flying-fox ride takes you across the canal. The highlight of Adventure Park is the maze. 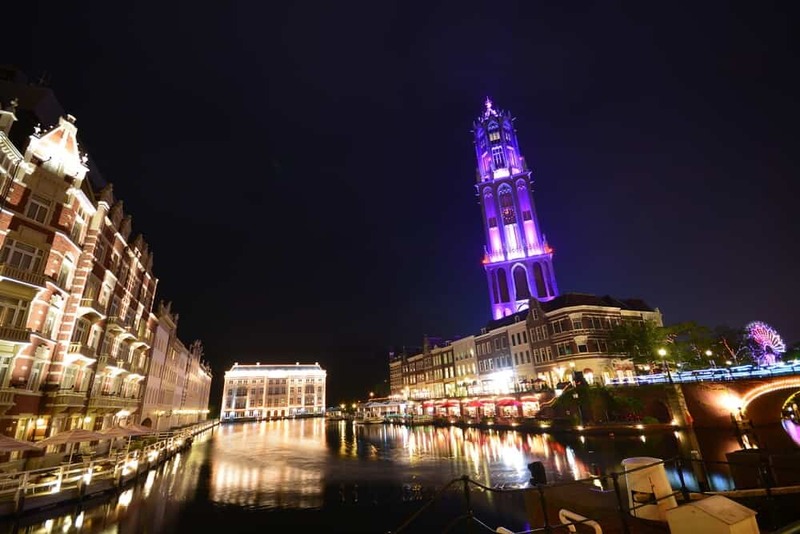 At five stories high, Huis Ten Bosch claims it’s the world’s largest maze. Two dragonballs are hidden; unlucky visitors must exit without finding even one. 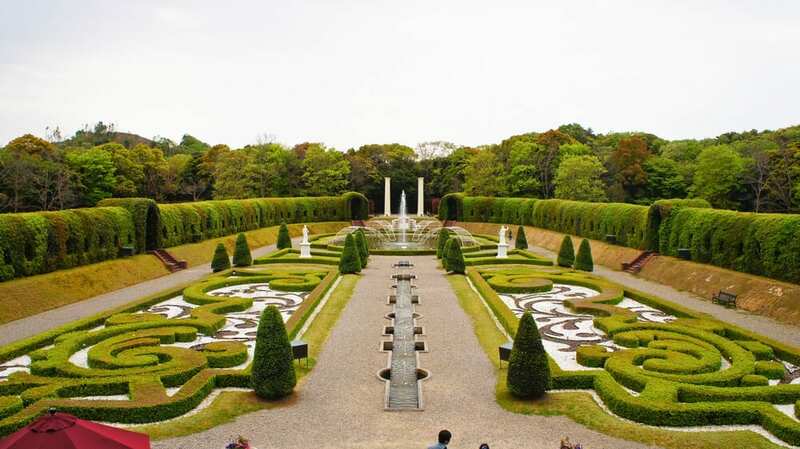 Huis Ten Bosch is confident the maze will confuse patrons. They warn guests to use the bathroom before entering. You might be in there for a while! The Strange Hotel (Henn-na Hotel) in Adventure Park is the first hotel in the world staffed by robots. Currently, the robots have humans assisting them. The goal is to one-day have the hotel entirely automated. The emphasis is less on the robots, however, and more on ecologically sound principles. Describing itself as pro-environment, the hotel prides itself on efficiency. Want to try it? The cheapest room offers two single beds starting at 15200 a night without breakfast. You might not associate Haunted Houses with Holland. Even so, Huis Ten Bosch has devoted a small section of the park to horror-themed attractions. Thriller City combines fear and romance in the Love and Horror House. Couples try to tie a red string together inside the house. This plays on the belief a red thread of destiny unites lovers. Couples who succeed will stay together — and get the chance to scare the next couple! The house is for couples only; patrons must enter in pairs. Pairs must be either two women or a man and a woman. The Prison Ward is a traditional but small haunted house. The Mansion of Japanese Ghost Stories, on the other hand, is more like a museum of ghosts. Returning to the marriage of love and horror, the ghost wedding magic show is based on the premise of an unhappy Dutch love story. It makes a nod to the park’s Dutch setting, but that’s all. If you wanted authentic Dutch history, you’d go to Europe, not Japan! Hours vary by day and season, but are generally open from 9:00am -10:00pm. Check their schedule before you go. Admission stops an hour before closing time. The various attractions close at different times. If you have a must-visit attraction, make sure you don’t miss out. 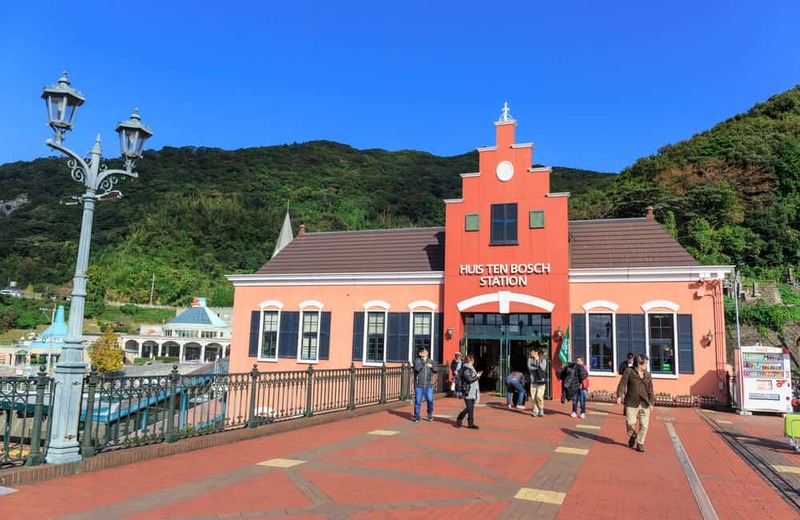 From Nagasaki airport, you can go directly to Huis Ten Bosch by high-speed boat (quickest way) or train. Check their transportation page for more details. Night passes, multi-day passes, and exclusive passes (for guests staying at one of their hotels) are available. *Note: Certain days have special events such as firework festivals. On those days, the ticket prices will change. Also, some attractions have an extra charge even with the “admission + attraction” type of ticket. Check out their ticket prices page for more information. Are You a Roller Coaster or Haunted House Fanatic? I love both roller coasters and haunted houses. If you’ve encountered a great one, please tell me about it in the comments below. You can never have enough thrills or scares, so why not share a few with a friend? After all, you need someone to go through the haunted house with!